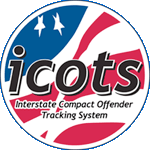 ICOTS isn't providing an option to do a CAR Reply for a CAR submitted by the other state. In some rare instances, a CAR-Reply isn't available for cases that have received a CAR when the user attempts to start a CAR-Reply from the Assistants tab. Since the CAR-Reply is not available and the activity doesn't show up as pending in the compact workload or the offender profile, the only solution is to just submit another CAR as the reply. This issue does not seem to affect specialized compact action requests, such as progress report requests or subsequent state transfer notifications. "There is a flaw in the CAR Reply assistant logic. The assistant basically needs to check that the current user is either the sending state user on case that has a CAR submitted by the receiving state, or is the receiving state user on a case that has a CAR submitted by the sending state. But, instead of checking that the CAR was submitted by someone in the sending state, it checks that the CAR was submitted by the sending state user. If it was submitted by someone else, or if it was submitted by the "right" user but the case was later transferred to someone else, then the assistant will exclude it from the list when it should probably be included." This means that if a case was reassigned after a CAR was transmitted by the other state, the new assigned user won't have the option to create a CAR-Reply from the Assistants tab. This has been documented as a bug by Appriss and will be addressed in a future ICOTS release. Thank you. Hopefully this will be cleared up but at least it explains why. This issue was resolved with release 16.0. When attempting to create CAR-Replies from the Assistants tab, cases that were missing from a user's list because of the reasons mentioned above will now show up. For some users, that means the list of cases they could create CAR-Replies on from the Assistants tab may have been empty yesterday (12/6/11), but today (12/7/11) there could be a dozen cases listed. And some of those cases may have CARs with no response that are quite old (potentially from around the launch of ICOTS).